When it's 30c plus in February, it's pretty hard to think of seed raising for winter. Still over the last couple of weeks that's exactly what I have been doing. 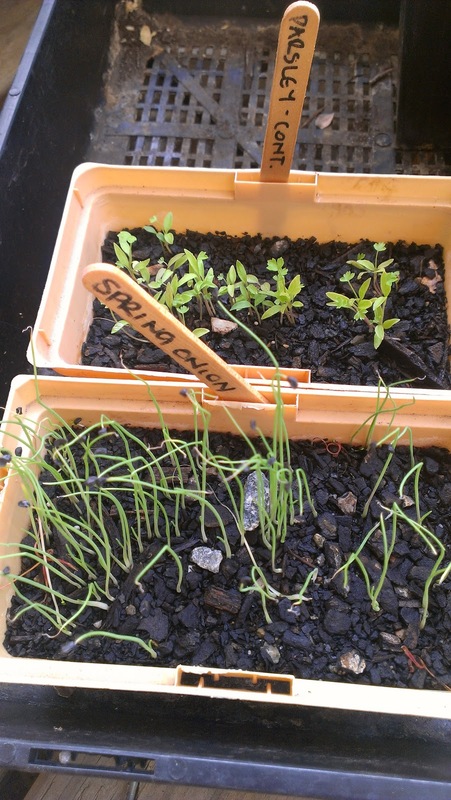 Some things have gone into the ground but most are being raised on the verandah away from tip nippers and Wallabies. Here is what I have recently put in or will put in soon. Love, love, love beetroot. I already have a few rows in but they have been pretty decimated by the Wallaby who seems especially drawn to the leaves. Now that the Wallaby has pretty much been excluded, I will put some more rows in. I will wait a while before I put these into the bed but I will be planting two types - Crimson Flowered and Aquadulce. Most years I have used broad beans as a green manure only, this year I might also harvest some to eat (a little good oil, some lemon rind, black pepper and parmesan I think). I have never tried the Romanesco but they look amazing, all that crazy lime green spiralling. Must get some seeds of my favourite cabbage - Savoy. The 'Normal' celery was a punnet I bought, the Chinese Celery seeds were provided by Kebun Malay Kadazan Girls - thank you, they are coming up nicely. Chinese cabbages - Red Bok Choi and Mini Wombok. 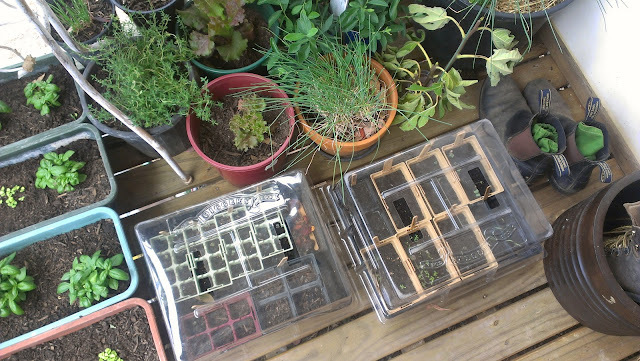 I have put some seeds directly into the patch and others in seed raising pots. I'll be putting more lettuce in at some stage, not sure which type. Spring onions - Ishikura and some provided by Kebun Malay Kadazan Girls - thank you! 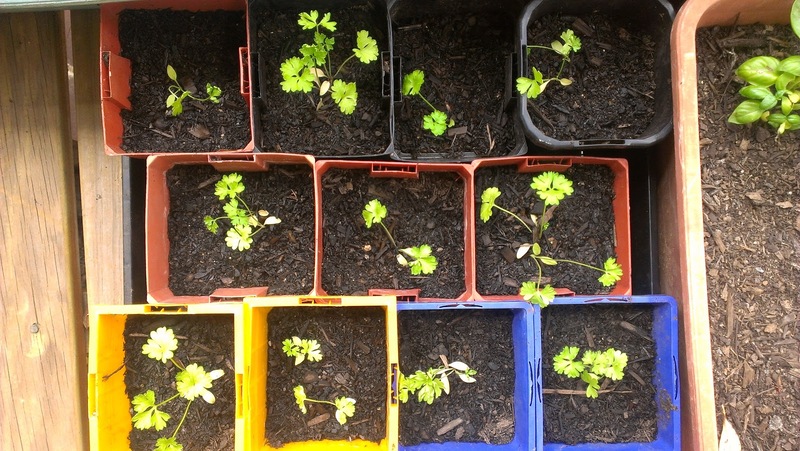 I find that curly parsley is more suited to dry conditions (thus my new patch) than Continental, but I like to have both types of parsley in the garden. These I have put straight into the soil and they have come up quite well. This is the first time I have tried parsnip. I am really hopeful that they will thrive. We get enough frost here to make them sweet like they are in the UK. I always have snow peas in the patch, they are one of my favourite things to grow and eat. I will also be putting in some climbing sugar snap at some point. I was so impressed by Daphne's sugar snaps that I have to give them a go. What am I missing? I will get frosts here but no snow, have I planned on something that just wont work? 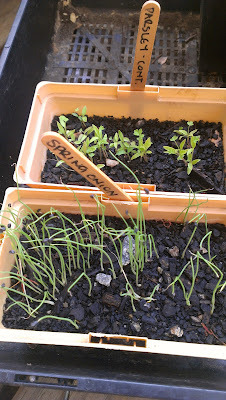 I don't have any micro climates to take advantage of at the moment...that will change eventually as things get growing. What are you putting in nowish for winter? Those in the northern hemisphere, what are you getting excited about? 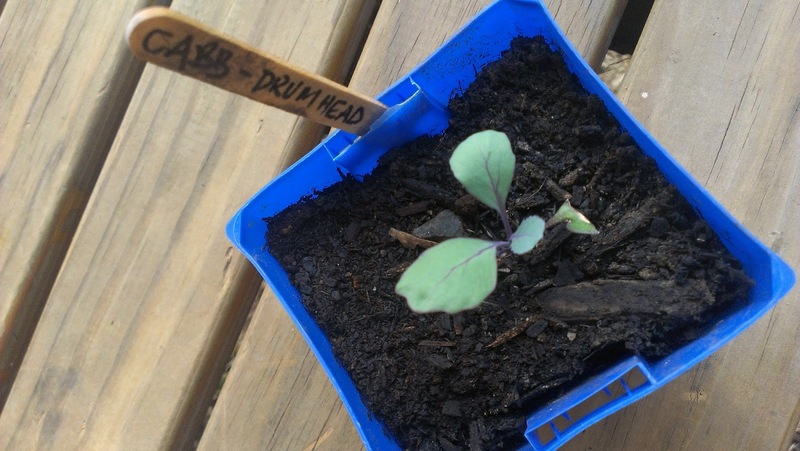 Take a look at Suburban Tomato to see what she has recently put in. Thanks for the link. I tried Romanesco last year and I struggled to know when to harvest it. In retrospect early rather than later is the best thing I think - mine turned back into broccoli after I left it too long. Thanks for the tip on growing - funny how it reverts! I have NOTHING in for winter, nowish! Oh, I really, really must. I was going to do that this weekend. Where do the the days go, I ask you?? And don't torture me and send me over to look at Suburban Tomato - that will make me feel even worse!! Liz is far too organised, I've decided. I have at least been cooking and preserving some of my gluts by making oven-dried tomatoes, passata, zucchini frittata, basil pesto and bread and butter cucumbers - and there's more that needs doing! Oh to be so busy harvesting and preserving...I wish I had a decent amount of anything to so trouble me! Oh for enough tomatoes to make passata and to dry, enough zucchinis to make anything. I have to buy zukes to have enough to use! Parsnips - love the idea of roasting with maple syrup. I have a great parsnip and lemon soup that I used to make when I lived in Blighty, it might need a dust off. (Here I am again thinking about harvests. My parsnips have only just popped out of the ground).